Lincoln County School District’s transportation services are provided by Mid Columbia Bus Co., Inc.
All schools are provided with a bus stop route book. If you have questions regarding a bus stop, please contact your student’s school or call Mid Columbia Bus Co. at 541-265-4445. 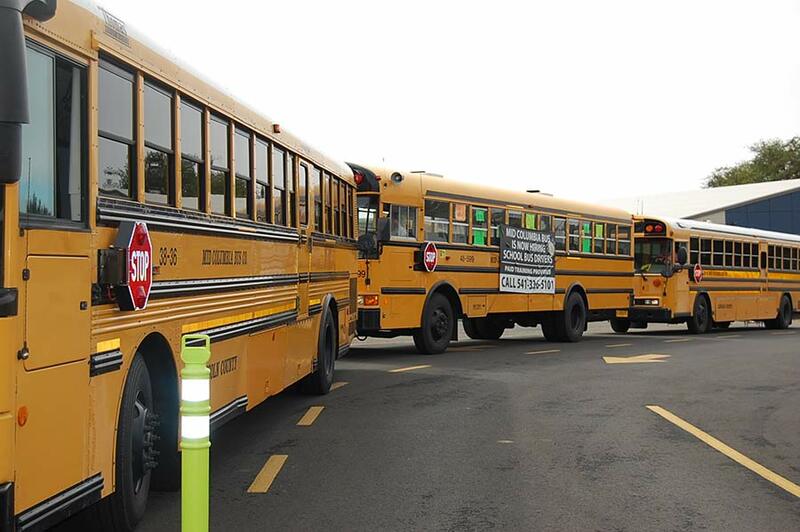 Each year you will need to fill out a new bus form (Request for Transportation – T4), which will be included in your child’s registration packet provided by the school and can also be found below. Make sure you fill out the form completely. When filling it out, please do not use a P.O. Box for your address; we must have a physical address listed. If you have a kindergarten student, please be sure to include names and phone numbers of those adults that can receive your kindergarten student at the bus stop. Note: Each student MUST have a bus form (Request for Transportation – T4) in order to ride the bus. Check with school if you have questions. If you have changes during the year, you may contact the school for a new T-4 form. When you have completed the form, return it to your child’s school and they will forward it to Mid Columbia Bus Co. In case of after-hours emergencies, please call 541-270-6081. During inclement weather, please go to the Lincoln County School District website for the latest on school closures or call the 24-Hour Information Line: 541-265-4437. This information also is aired on local radio and TV stations. However, when reading the school closures list that “crawls” on the TV screen, please be sure to read the entire text; there are times when only certain schools are closed because of conditions unique to their area.